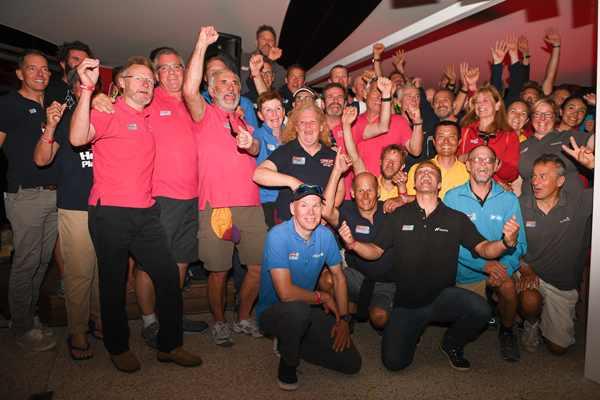 Following the relief of getting to port after an incredibly tough and emotional leg, now officially known as the most challenging in Clipper Race history, tonight it was time for the Clipper Race fleet to come together and celebrate each other’s achievements. Ahead of doing so however, the entire race crew joined on the grass outside the Fremantle Sailing Club for a memorial service for Simon Speirs who tragically lost his life at sea in this race. 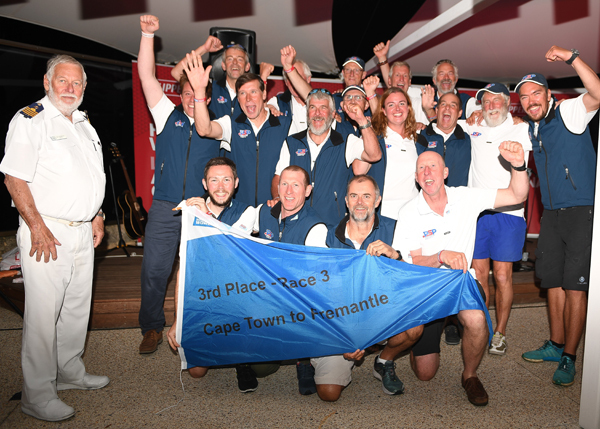 Led by a Chaplain from the Mission to Seafarers, words were read by Tessa Hicks, GREAT Britain round the worlder, and Skipper Andy Burns, with a moving tribute provided by Simon’s family and read on their behalf. An indigenous welcome to country, came next in which crew were told: “Welcome, hello, beautiful friends. Give yourselves a clap because you have come a long way over the Southern Ocean. How good are you, men and women who have done that. On the podium, the big race celebrations of the night were of course for the podium winners, Unicef, second placed GREAT Britain and third placed PSP Logistics, with all three teams taking to the stage to officially claim their pennants. Prize Giving night is about so much more than just winning the races however. Also handed out during the evening were the important awards recognising the Unicef Charity Champion, the Henri Lloyd Photo Competition and the Stormhoek Social Spirit Award. Also as per tradition, all crew departing the race here in Fremantle were invited to the stage to have their efforts recognised. 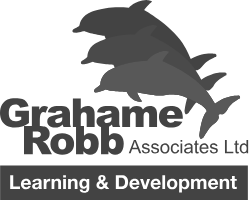 Winner of the Charity Champion Award for this race, is Gareth Osborne of Liverpool 2018. He was recognised after raising £20,010.00 from a couple of regattas he organised with his company which involved a couple of hundred people at each event over the last two years, generating £10,000 per event. 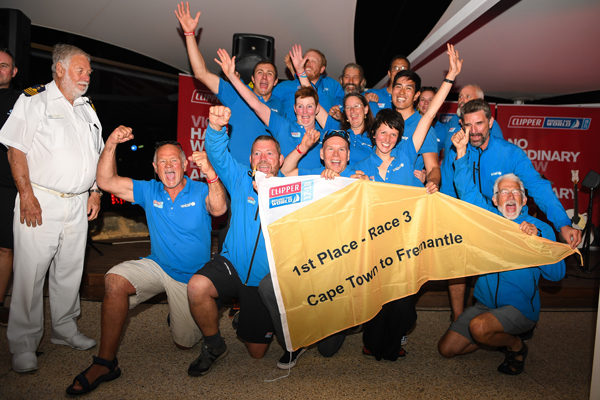 The Clipper Race fundraising total for Unicef is now at an impressive £196,495.75 of its £400,000 target, at almost the halfway stage of the race. 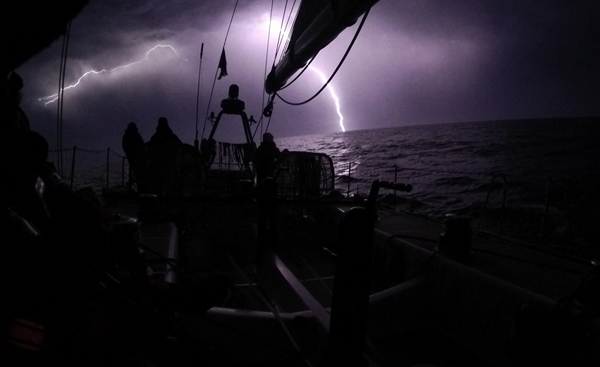 After some online voting and judging, the Henri Lloyd Photo Competition Award, and £100 for the team’s crew fund, was officially given to Nasdaq’s Philip Wilkinson who captured an electric image of a lightening bolt behind the helm during a storm on Day 2 of the race. 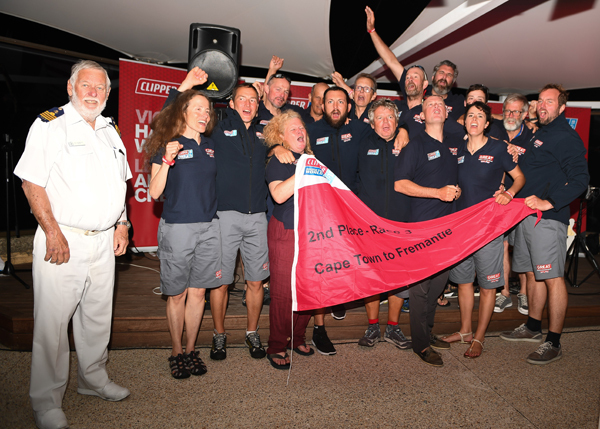 The Race 3 Stormhoek Social Spirit Award was given to the entire Clipper Race Family following the way crew, the Race Office, and supporters pulled together to support each other during the tragic and eventful times during this race – which has been the toughest in the event’s 21 history. Explaining the reason for the decision, Stormhoek Wines’ Bernard Fontannaz said: “From the very first day, events set this leg apart from any other we have experienced so far but in each instance we were so moved by the unwavering support, loyalty and camaraderie displayed every time the going got tough - not only by crew members but also by their supporters around the world. As well as the Race Points, the Bonus Points were also recognised. As a recap: The Elliott Brown Ocean Sprint Results went to: 3rd Place (1 point) – PSP Logistics, 2nd Place (2 points) - Visit Seattle and 1st Place (3 points) - Hotelplanner.com. For the Scoring Gate, the results were: 3rd Place (1 point) – Qingdao, 2nd Place (2 points) – PSP Logistics, and 1st Place (3 points) – Sanya Serenity Coast. Of course it is important to note that Qingdao doubled its eight race points for its 5th place finish as it elected to play its Joker Card for Race 3. Now that all race and bonus points have been added to the leaderboard, it is now Qingdao which tops the overall race standings heading into the All-Australian Leg. However, with just one point separating the leaders from second place Dare to Lead, and just three points over third placed GREAT Britain, it certainly is tight at the top.